Prepare well. Integrate the translator partner as a member of your team. Write in a clear, simple style, avoiding acronyms and jargon as much as you can. Are you taking your business abroad and want your website, marketing communications, sales and advertising materials to be as effective as in the UK? 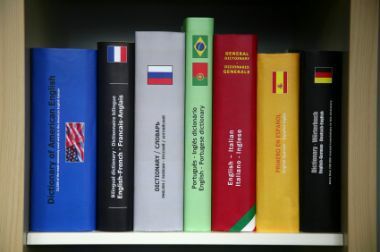 Do your product specifications or operator manuals need to be translated into another language? Do you have legal documents or documents relating to a case that need to be translated or summarised? Are you in the UK tourism and leisure sector, and need your website, hotel brochure or visitor’s guide to be translated? Whatever your translation requirements, we’ll do more than just ‘translate’. We’ll transfer the meaning of your material, adapting it to ensure it’s effective and is adjusted to cultural and sector specific differences. Zên Languages will work with you as your translation partner. We’re focussed on the entire quality process; the translator we select for you, quality checks, proofreading, editing, customer service and the management process.